But the people of Israel walked on dry ground through the sea, the waters being a wall to them on their right hand and on their left. 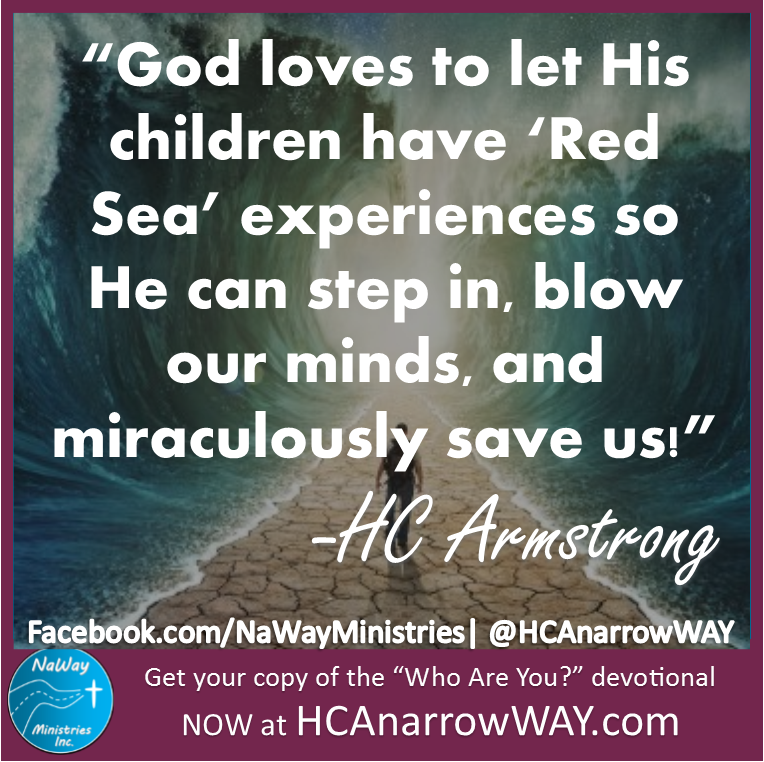 What is your "Red Sea?" What is that situation that seems so impossible? What is that relationship that you think can't be restored? What is it that's broken and looks like it can't be fixed? What is that habit that you can't seem to let go? Whatever your situation is God wants to use it for His glory! Could God have taken Israel another route or have given them a boat? Sure. But He gets no credit that way and our faith in Him doesn't grow like that. He wants to do the great thing in your life. He wants to do something that only He can do. Do you believe God? Then trust Christ and have faith.